As I celebrated my 50th Birthday this past year, many of my friends congratulated me on making it to what they referred to as the “Fifth Floor.” It wasn’t long before I started noticing that several of these fellow “Fifth-Floorers” were undergoing surgeries in order to repair damage to their bodies caused by sports- and work-related injuries. As I contemplated this new trend among my peers, I began reflecting upon the beginning of my career, the days when I first started selling ergonomic flooring & matting. At the time I was in my twenties and still wore suits as I made sales calls on industrial manufacturing facilities. I remember visiting many facilities where workers stood on cardboard boxes, wooden pallets or simply on a hard concrete floor - this was the accepted norm. Often, these employees thought the notion of buying an Anti-Fatigue or Anti-Slip mat was crazy and assumed that their management staff would laugh at the idea. This was back in the day when you pulled up to a pay phone with a roll of quarters to make appointments; when the term “Human Resources” was essentially non-existent. Since then a lot has changed in the world! For one thing, pay phones have been replaced by smartphones. For another, companies now have entire departments dedicated to Human Resources. HR departments are tasked with bringing out the best work ethic in their employees as well as providing a safe work environment, one that is consistently making improvements based on the latest innovations and technology. One of the main issues an HR staff deals with on a daily basis is absent workers. This absenteeism can have a major effect on a company’s bottom line. When an employee is absent, other co-workers have to fill in and often find themselves doing extra work. Not only does this negatively affect productivity and quality - the Gallup-Heathway’s Well Being Index states that the annual cost of lost productivity due to absenteeism in the industrial manufacturing sector is $2.8 billion - but over time it can lead to significant damage to team morale. MSDs can range in severity from mild periodic symptoms to severe chronic conditions and debilitating injuries. Even mild MSDs can have a direct impact on an employee’s productivity as discomfort can lead to distraction, increasing the chances of making a mistake or working at a slower pace. This is why Wearwell exists. It’s our motivation and our inspiration. 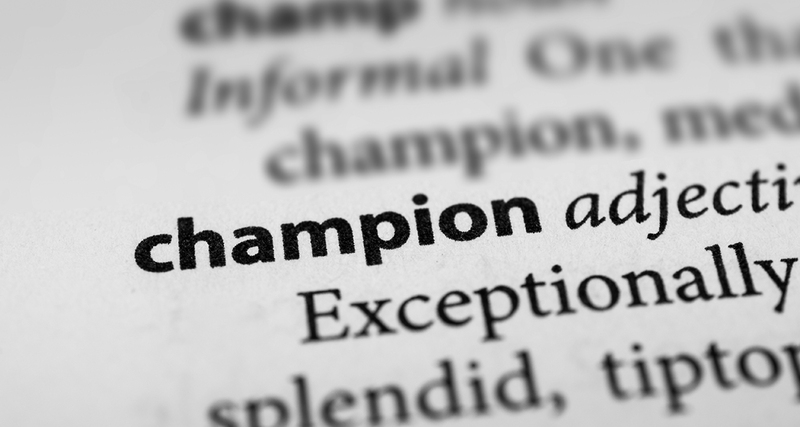 At Wearwell, we are champions for the Industrial Athlete. Our goal is to provide these workers with the proper playing field for daily performance. We are dedicated to innovation, working to improve the safety and productivity of these Industrial Athletes, offering a complete line of Anti-Fatigue and Anti-Slip flooring products to help the industrial sector provide their workers with a better alternative to a hard, unforgiving concrete floor. This simple yet profound change directly impacts and reduces absenteeism, helping to increase productivity and morale among employees. The past twenty years of my career in the ergonomic flooring & matting industry have been eventful, and a lot of things have changed. One thing, however, has stayed constant - Wearwell’s dedication and commitment to providing a better playing field to the Industrial Athletes who use our products.